The service is provided by a qualified Quantitative Surveyor and is completely independent of Frank Key, keeping you in control of your project’s material costs. A comprehensive list of the required quantities of products is supplied quickly in an excel format, allowing you to get on with your project, plan ahead and reduce waste on site. The price for the service is dependent on the size of your build, with prices starting from £65 (excluding VAT). There is no obligation to buy the products listed from us. However, Frank Key will refund the cost against orders over £2,000 (excluding VAT). 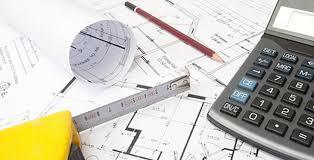 If you are interested in the services of a quantity surveyor for as little as £65 (excluding VAT), please speak to your local Frank Key Branch Manager.